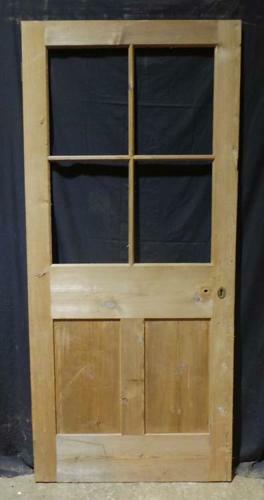 This lovely door is fully morticed and tenoned, and is constructed with four panels for glazing above two solid pine panels. This pretty door is suitable for internal use only. The door has been stripped ready for waxing or painting. The door is currently unglazed and we are happy to quote for glazing. Please contact us with your requirements.